This guy is a reagent vendor and Consortium rep vendor deep inside Karazhan. He sells standard things like Sacred Candles, Symbols of Kings, etc, in addition to some crafting patterns for higher-level jewelcrafters and enchanters. He's just before the Chess event in Karazhan. You must have defeated the Curator and a bunch of trash afterwards in order to reach him. He's just to your right before the Gamesman's door, you can't really miss him; he's a tall Ethereal. This NPC will repair your items for you. Anyone think it is possible to stealth to this guy? Still don't have a clue how to reach him..
Are there and reputation requirements for this guy? Anyone know if it's possible to get to this guy after a full kara clear but before the reset on your own? Or is there too much trash in the way? You don't need Netherspite. After Aran, you can port to Aran's room, exit, turn left, and follow the path. If any rouge or any druid wants to go to him you can stealth you just have to watch out from some mobs.Some peoples here are spreading rumors that you can't get to him by stealth. I think its very hard to get this guy solo. Which floor is he located? Today, 22 dec 2011, I visited this guy on a transmog run. His energy body flickers white and pink rapidly, havent seen any Ethereal do that before. Obviously, he has become a Disco Elemental. Ythyar, the ethereal emodiment of Rave. This guy needs a seizure warning pasted on his bandages. 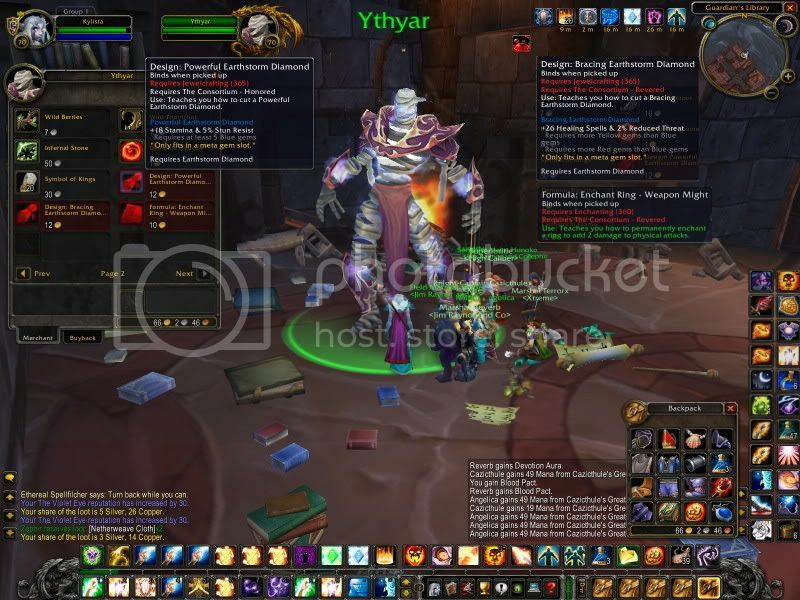 As of 7.0, Ythyar is much, much larger and ghostly in appearance. Unclear why they made this change. For those concerned, you no longer need the Consortium rep to buy his quote-unquote 'recipe' in order to do the Zeitvergoldung questline.